An intensive 2-day course for instructors, instructor trainers and those who are exposed to higher levels of risk, for example in cave and technical diving, to improve their personal and team performance. Hosted by DAN AP and held at DAN AP HQ, 29-30 November, led by Gareth Lock – GUE’s Director for Risk Management. This unique training course is led by Gareth Lock, an Open Circuit advanced trimix diver, recently appointed GUE’s Director for Risk Management. (Bio below). The intensive 2-day course is for instructors, instructor trainers and those who are exposed to higher levels of risk, for example in cave and technical diving, to improve their personal and team performance, and improve their safety as a by-product. This two-day course is globally unique in diving and combines a computer-based simulation developed specifically for personal and team performance development, with decades of human factors research and practice, distilled and condensed into a structured and coherent framework. Venue and date: DAN Asia-Pacific Head Office (located in Ashburton, Victoria), 29-30 November. The full course content and class structure is available here. Gareth Lock is a retired Royal Air Force senior officer Navigator of 25 years, who was both a senior supervisor and a tactical flight instructor on an operational C-130 flying squadron. He has an MSc in Aerospace Systems from Kingston University and in 2012, Gareth started his PhD, examining the role of Human Factors in SCUBA diving incidents at Cranfield University. As a diver Gareth is an Open Circuit advanced trimix diver (Technical Diver Level 2 with GUE (Global Underwater Explorers)) and normoxic trimix CCR diver (JJ-CCR with TDI). 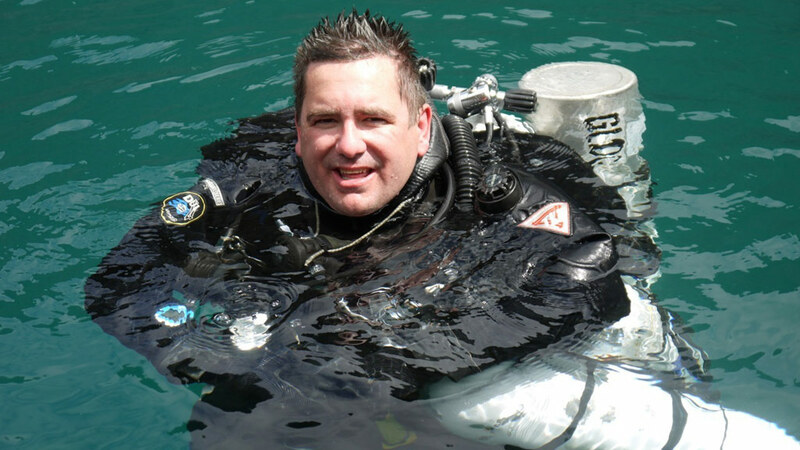 He is a keen underwater photographer, he’s had published work in diving magazines and journals, he’s presented at international diving conferences, he manages the Diving Incident and Safety Management System incident database, and has most recently been appointed GUEs Director for Risk Management.